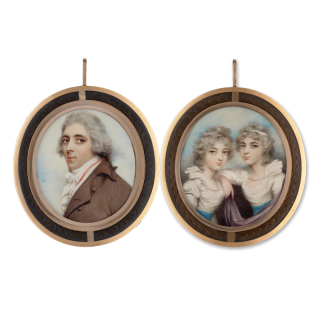 This portrait of a gentleman of the Floyd family and his daughters is an unusual work for Plimer, who, in line with other portrait miniaturists of the eighteenth century, rarely expanded his repertoire beyond a simple bust portrait. Although it has not been possible to identify the sitters with any certainty, the ‘Miss Floyds’ are recorded by G. C. Williamson in his 1903 publication ‘Andrew & Nathaniel Plimer, miniature painters, their lives and their works’ (Appendix VI, Catalogue of the Works of Andrew Plimer at present, 166-7). 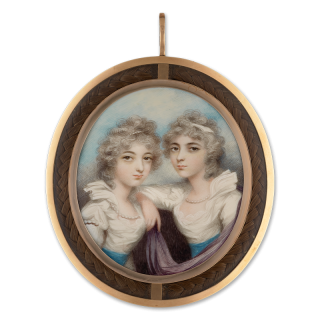 The miniature may originally have been paired with a portrait miniature of the sitter’s wife and mother. 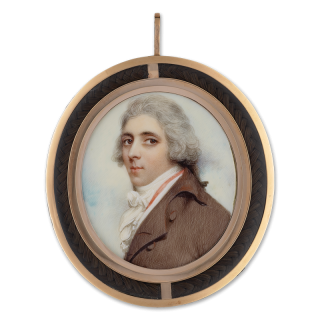 Andrew Plimer was born in Shropshire, his father was a clockmaker and after being expected to enter the trade, Andrew and brother Nathaniel reputedly ran away, arriving in London in 1781 when Andrew entered the employment of Richard Cosway as a servant. 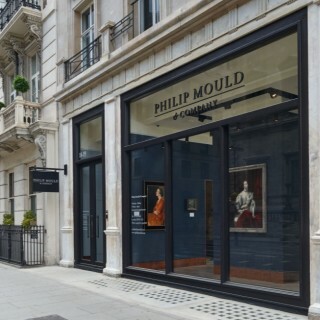 After receiving lessons from the well-established Cosway, Plimer set up on his own in 1785 in Maddox Street before moving to Golden Square one year later, then a highly fashionable part of the city. Plimer appears to have travelled around; in 1801 he was working throughout Devon and Cornwall, in 1815 he lived in Exeter and in 1835 he moved to Brighton where he died two years later.